Jewelry is something that we all love over here in my house. Jon has an obsession with watches, but he wears other jewelry as well. He buys me a lot of diamonds, but we just love jewelry. We wear at least 1 piece at all times. So when I came across Blue Steel, I thought it would be awesome to try out a piece of theirs. Well they let me choose whatever I wanted for my review. So I decided on the Aqua-Paragon ring for me and Jon wanted the Blue Tungsten Spinner Ring. We were happy they sent both to us! The other side is blue and white. Jon's ring is really neat, I wish my camera was better at capturing detail. The blue part spins around endlessly too. Jon wears his ring on his right hand. We had JUST bought his wedding band about 2 weeks before these arrived, otherwise he would have used this as his wedding band! He loves this ring though, it has held up well. 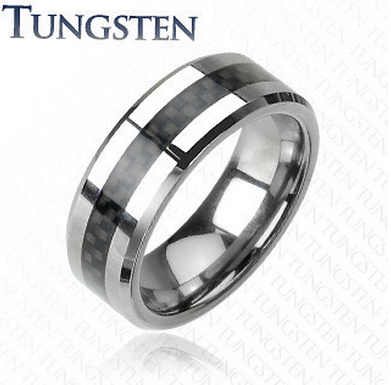 Since it's tungsten it's a really hard material and there have been no scratches on it at all to this date. My ring is alright, it has a comfort fit so it slides on the finger nicely. But the ring is a bit wide and was digging into my pinky finger on my right hand. It wasn't really comfortable and my knuckle was starting to feel bruised. So I took it off. I wear it occasionally, but it's not an every day ring for me. This ring is almost identical to Jon's wedding band... but at about 1/4 of the price! This was another favorite of his on their site. And they carry other items like necklaces, bracelets and earrings. Overall: ***** LOVELY items at wonderful prices! The Blue Diamond ring looks awesome! Aqua Paragon is so pretty! I like the Hearts and Butterflies bracelet. I love the jubilee earrings. 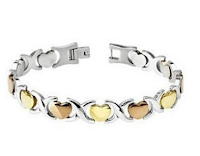 I really like the Hearts and Butterflies Bracelet. I like the Amore ring. I like the Black Tungsten Spinner for my hubby! My favorite item of all is the pair of garnet swirl earrings! They are so pretty!! 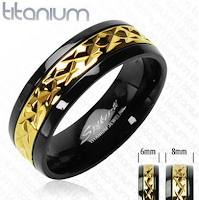 I love the black tradition mens ring! Champion is very cool, though there are tons of great choices on this website! I like the Grace Earrings. My favorite item is the Wings of Love earrings. I love the Black Diamond Man's Ring. Gorgeous!!! I like the evermore ring. My husband's wedding band was lost before we'd been married a year. 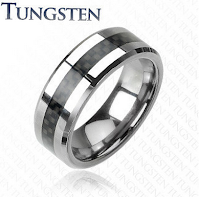 I would love to give him the "Mother of Pearl" Tungsten men's ring for our 10 year anniversary next month! It's beautiful! I think he'd love it. I love the Never Ending Necklace. Love the DEEP BLUE bracelet. 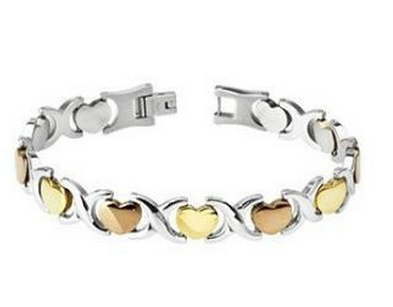 I like the Floating Hearts Bracelet. I love the Athena's Eyes Hoop Earrings. I love the Amore ring! My favorite is the Racing Hearts Bracelet. My favorite item is the Floating Hearts Bracelet!